When choosing color for a Veterinarian office there are many things you have to consider. I’d like to share this design I did for a virtual client I’m currently working with in Arkansas. The first thing I did was think about a color scheme. I wanted a soothing palette because as you know, Dr. offices of any kind can be stressful. Having soft colors will help relax and just make everyone a little less on edge, plus it looks great. I just adore these chairs! They are literally the perfect chair for a Veterinarian office. Not only do they look great but they can easily be cleaned or disinfected. They also do not have any arms which makes holding a pet or cage very easy. These are the important details that can make or break a new office. The lamp joins in on the contemporary flair of this design and the brown desk will look perfect against the blue backdrop. Adding fun art of animals to coordinate in each room is a must and before you know it, your office is complete. 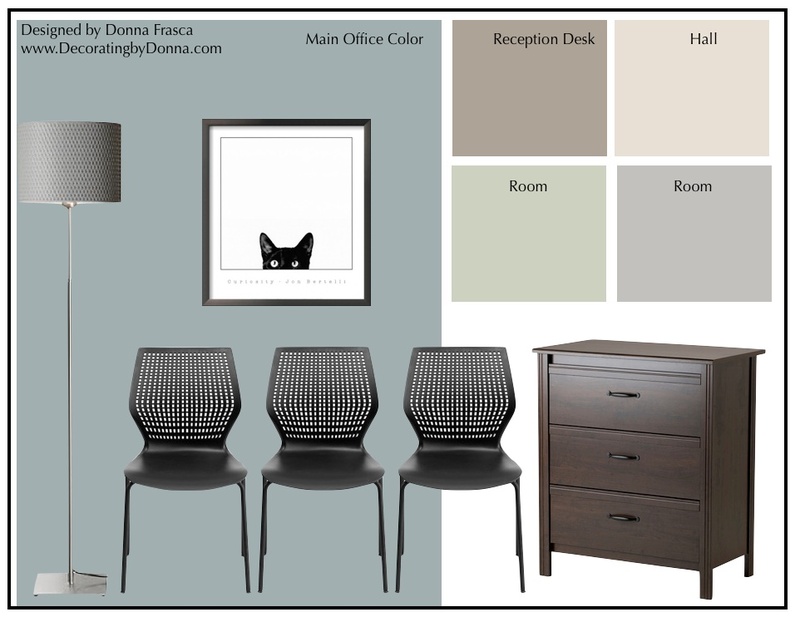 This entry was posted in Virtual Color Consultations and tagged animal art, black chairs, brown furniture, coastal color, color, contemporary art, gray lamp, pets, Veterinarian Office, vets office, virtual consultation. Bookmark the permalink. Really like those chairs. Can you mention the resource for those? THX. Sure Cheryl – I found them on Wayfair. I really love them too and they come in several colors. I’m in love with these colors. Any chance I can get the name and brand of them? Oh love these colors too! My client loved them as well – pretty awesome colors for a Vets office right? 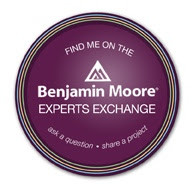 Sure, email me at DecoratingbyDonna@mac.com and we’ll chat about the details. You can have this color palette in Sherwin Williams, Benjamin Moore or Valspar.